Sutton Parents Forum provide a fantastic service supporting parents of children with disabilities in the borough. Therefore, we were delighted to be able to run a Cage Cricket Session with them as part of their half term programme. 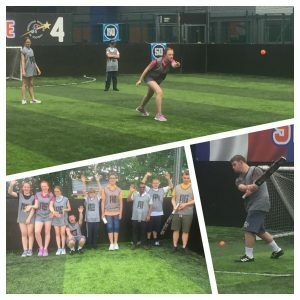 Goals in Sutton proved an ideal venue to deliver Cage Cricket and all of the participants really enjoyed the game. One of the most pleasing features was that we were able to involve siblings of the young people on the programme in the game and this worked really well.